Rotary Electric shavers for men make shaving less time consuming while still allowing a man to remain well groomed. Today rotary electric razors are better than ever before, allowing men to use some of these razors both for wet and dry shaving. Of course, many of these razors have additional features like battery indicator lights and pop up trimmers. However, with so many electric razors to choose from just how do you find the best rotary electric razor for your budget? We have narrowed the field down to 8 of the most functional rotary electric shavers we could find in order to help you in your quest to find the best one for you. The Norelco AT875 is a simple looking black razor, but don’t let its simple looks fool you. This razor has several nice features that will make shaving in the morning worth getting up for. Pivoting and flexing heads make it easier to get a close shave. Super lift and cut dual blade system. Integrated pop up trimmer for mustaches and sideburns. 50 minute run time on a single charge. Comes with a protective cap, power cord, cleaning brush and storage pouch. Can be Used Wet or Dry: Although it is made primarily for wet shaving, many users actually use it when dry shaving and state that it works well for this purpose. Smooth Shave: While this razor doesn’t shave quite as close as a blade, users do say that it shaves close enough to give them a smooth shave. Easy to Clean: They find this shaver easy to clean stating you just need to run it under water and leave it open until it dries. You Get Several Shaves before Recharging: They also like the fact that they can shave several times between charges. The Philips Norelco Shaver 6400 with Click-On Beard Styler (Model 1150BT/48) is another very well liked product by Philips. 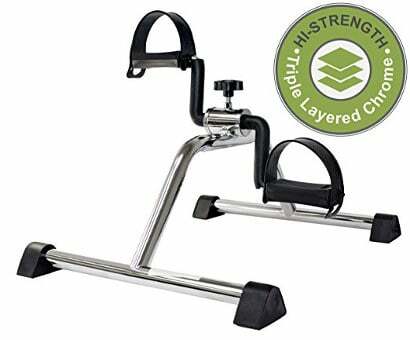 It gets thousands of reviews and a price of under $100 makes it a good deal. I like the fact that it comes with a separate head for trimming the beard, so if you are like me who has always had a beard and still have to shave everyday, this is a useful tool to own. DualPrecision shaving heads do a great job in cutting the longer hairs and the shortest stubble. SkinGlide surface will always give you a close and comfortable shave. It´s a wet or dry electric Shaver. Gyroflex 2D contour system will follow each curve of the face easily so you get an irritation free shave. Waterproof Operation: It is totally waterproof making it easy to use under the shower. Clean And Close Shave: Users like the fact that it gives a much cleaner shave and does so in less time and with less effort due to the curved shaving heads that seem to follow the contours of the face. Design and Construction: It has a futuristic design and it feels comfortable to hold in your hand. You can hold it well without any slipping problem. Indicator Lights: Users like the display which shows battery charging and control lock status. The control lock lets you disable the power button to prevent it from accidentally turning on when traveling. Charging Time: It has a base that you drop the shaver into and it charges through contacts on the side of the device. A complete charge takes 1 hour and lasts 40 minutes of shaving time. The low battery light alerts you when there are 5 minutes of shave time left. Most people like that it only takes 1 hour to reach a full charge. Also, the charging base is convenient to use. Low Battery:The low battery light alerts you when there are 5 minutes of shave time left, which is another very handy feature. 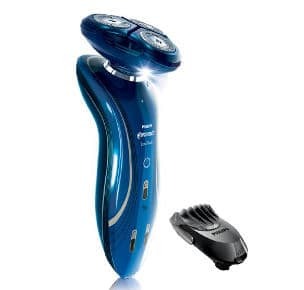 The Philips Norelco PT730/41 Shaver 3500 has recently been updated from PowerTouch to its current name. Apart from the name, the packing has also changed. The company says that when you receive the product, it may be in old packing but the shaver is still the same. This razor gets thousands of reviews and most of them are well above average. At first glance, I like its shape with that non slip grip. It has a flex and float system which follows the contours of the face to get a more efficient shave. Has an integrated pop-up trimmer which is good for trimming hair of your mustache or sideburns. Lithium-ion battery power with up to 45 minutes of shaving after an 8 hour charge. Dual Precision heads will make sure that it cuts long and short hair. 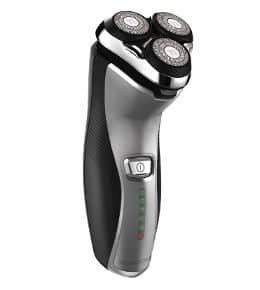 This Cordless Razor includes the Philips Norelco 45-day money-back guarantee and a full 2 year warranty. Battery lasts long: We all know lithium Ion gives you the best performance and lasting use, so the users are happy with its performance. A full charge of 8 hours will give you 40 minutes of shaving which converts to almost 8 shaves. Easy To Clean: Users find it very easy to clean. 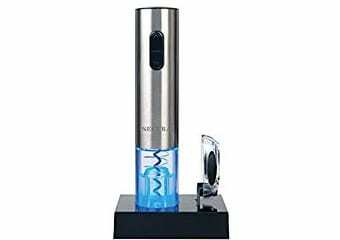 One push of a button and the head will pop open and then just simply run the tap water over it to give it a good clean. Good For Traveling: People like the fact that with such powerful battery they don´t have to carry the charger. Corded & Cordless: Having the facility of cordless use, users find it very convenient not having to worry about shaving with cord hanging around them. Head Shaving: Some people have mentioned that they also use it for head shaving and find it very efficient due to its flex and float system. The Philips Norelco S9311/84, Shaver 9300 is the company´s most advanced shaver yet and comes with some wonderful features. The most important feature that the company claims is that it shaves 30 percent closer than most other shavers. It has a very modern design and will look great in the bathroom cabinet. In addition, it is perfect to be offered as a real quality gift. You can have a dry shave or, if you prefer, a wet shave, thanks to its AquaTec technology. All the shaving heads move in 8 directions and cut a lot closer and more comfortable. Comes with a smart clean system for your convenience which takes care of cleaning, drying, lubricating and charging the shaver. You have the choice of three speeds, starting from a gentle shave up to a high powered shave. The newly designed V-Track Precision Blades collect hair in the optimal cutting position. Lithium Ion Power: Its powerful Lithium-ion battery gives 50 minutes of shaving time after only 1 hour charge, and an additional good feature delivers enough power for a full shave only after a 5 minute quick charge. Closer Shave:This Philips Norelco 9300 shaves much closer and much more thoroughly than most other shavers. Interchangeable Heads: Users find this to be a practical feature. It allows you to buy the heads of a beard trimmer or a body groomer and use them with this razor, so there is no need to have two or three shavers. Easy To Use: The display on the shaver is easily readable and the buttons are simple to operate. Easy Maintenance: The shaver tells you when it is needed to wash the foil and you can remove the excess hair residue just with running water. LED Display: It is equipped with an advanced LED display with which you can control different functions of the shaver, such as battery level, cleaning, low battery indicator, replacement head indicator and a travel lock indicator. The Remington R4-5150A Titanium Rotary Razor is one of the older razors in the Remington line. There are still many of these shavers around, but if this shaver meets your needs, you will want to get one. Pivot and flex technology gets closer to the contours of your face. Titanium coated blades last a long time. 30 minute run time per charge. Can be used either corded or cordless. Charge: It charges quickly and holds its charge extremely well. Close and Even Shave: Users state that it shaves close to the skin as well as evenly. Easy to Clean Clipping Collector: The clipping collector that captures cut hairs is easy to clean. 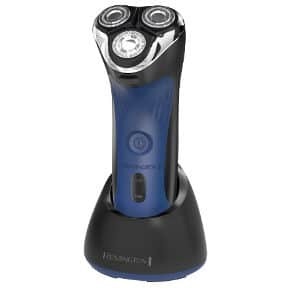 Works on both Face and Head: Not only do users find that this shaver gives them a good shave for their face but they also report it works equally well when shaving their heads. The Philips Norelco YS524/41 Click and Style Tool Kit is a handsome black razor accented in red and gray. It comes with additional heads to make all over grooming easier and simpler. 3 easy click on and off attachment heads for all over grooming. Comfort cut blades glide easily against your skin. Beard styler with 5 length settings. AquaTech technology great for those who want to wet shave. Battery indicator light lets you know when your battery is getting low. 40 Minutes of cordless shaving on a single charge. Fits into the hand: It fits in the hand nicely making shaving that much more comfortable. Waterproof: Users like that it can be used in the shower making shaving and all over body grooming simpler and easier. Quick Charge Feature: While they feel that it charges fully quickly, they especially like the quick 5 minute charge features that allows them to get a couple of shaves from a quick charge if they are in a hurry. 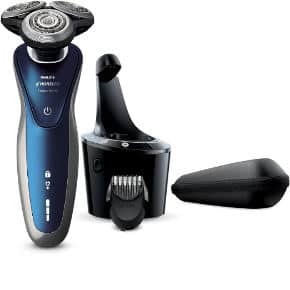 The Philips Norelco AT810/41 is a masculine looking black shaver with blue and silver accents. AquaTech technology for both wet and dry shaving. Dual precision head for a close and faster shave. Flex and Float system follows the contours of your face. Skin protection system featuring round low friction heads that actually adjust to the contours of your face. 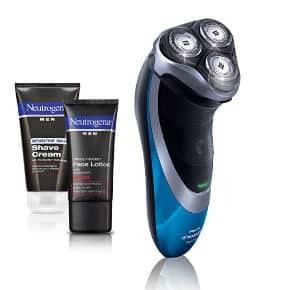 It also comes with a sample tube of Neutrogena shave cream and face lotion for men. Close Comfortable Shave: They review that this rotary razor gives them a close comfortable shave with little or no irritation, rashes or razor bumps. Can be Used Wet or Dry: It can be used for both wet and dry shaving. Long Lasting Battery: It can give you a dozen or more shaves on a single charge. The Philips Norelco Electric Shaver 8950/90 wet dry edition is the most expensive of the rotary razors in this review due to the cleaning and charging station. However, if you have the money to spend and want a good quality razor, then this blue and silver gray shaver may fit the bill. The shaving head moves in 8 directions. It is designed for both wet and dry use. The smart clean system cleans, lubricates and charges your razor so you don’t have to do any maintenance at all. Comes with 5 length settings for the beard styler. Fast Charge: Users like the fact that it charges fast, and the fact that the charging stand also cleans and lubricates the razor is a real plus. 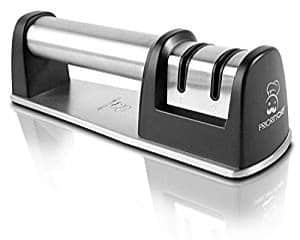 Great Attachments and Carrying Case: The attachments are well thought out and useful, and people love the fact that this razor comes with a handy carrying case. Smooth Shave: Most users state that this device gives them a smooth and comfortable shave. 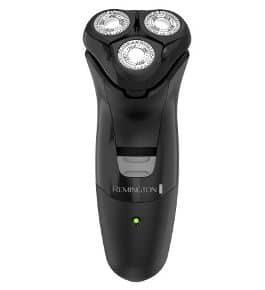 The Remington R 4150 360 Rechargeable razor is a good choice for the budget conscious man who is looking for a good rotary electric razor for men. Neck that pivots in all directions. 30 minute run time on a 16 hour charge. 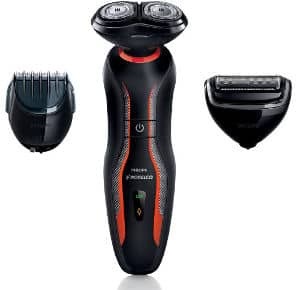 Ratings and reviews for this electric shaver run between medium and good with the vast majority of users being satisfied with this product, especially given the price, and finding the following features and functions useful. Close Fast Shave: Despite this razor’s rather low price, users say that it shaves as close as many more expensive razors. Great on Neck: Many men have difficult shaving their neck well with an electric razor, but necks and neck hair doesn’t seem to pose much of a problem for this razor. Lightweight: The lightweight makes it more comfortable to hold. Easy to Use: Users find this device easy to use. 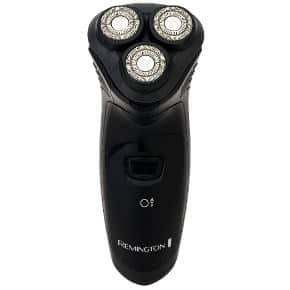 The Remington PR1235 R3 Power Series Rotary Shaver is a rather plain looking black razor made to be extremely budget friendly. 360 Power flex. The entire head adjusts to facial contours. Pop up detail trimmer for sideburns and other areas. Doesn’t Pull Hair: Unlike many other razors on today’s market, users don’t experience much pulling when using this product. Holds a Charge Well: This inexpensive razor holds a charge well giving you several shaves per charge. Lightweight: Users like the fact that it is lightweight and easy to hold. Lithium Ion batter gives 50 minutes of run time. Rubberized grips for a firmer hold. Can be used for wet or dry shaving. Charges Quickly: It only takes 90 minutes to charge up the battery completely and the majority of people get several shaves from a single charge. Wet/Dry Function: You can use it for both wet and dry shaving. Cordless Operation: It operates cordlessly so that you don’t have to worry about the stretching of the cord or getting it wound up. Close Shave: Users get a close shave when using it. The Philips Norelco Electric Shaver 2100, S1560/81 is a nice looking shaver and if you are a little tight on budget, this might be the razor for you. It attracts fantastic reviews with a lot of happy and satisfied customers. It can also be used for head shaving and may not do a perfect job, but then you will have to pay a lot more to achieve perfection. The heads flex in 4 directions giving you a fairly close shave. Lithium Ion batteries give you a long lasting power and use. 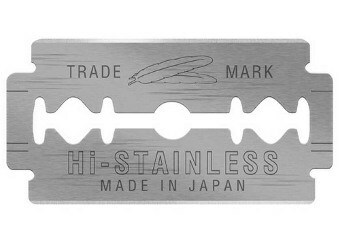 The blades are durable and self sharpening, and the close cut shave system ensures a close shave. The shaver can be rinsed under the tap. Pop up trimmer is a useful tool to trim your mustache and sideburns. Pretty close shave: It may not give you a shave as you get when using a blade but, according to the customer´s feedback, this one cuts fairly close. Quiet Operation: People admire the fact that it is pretty quiet unlike some shavers that can give you a headache. Good Value for Money: Considering the low price, people find it a great value for all the features it has. Good Battery Power: Getting approx. 40 minutes of run time after a full charge of 8 hours keeps the users very happy. You only need to charge it once a week. No Pulling: In some cases, the shavers pull your hair while shaving but, in this case, users say that you get a smooth shave. 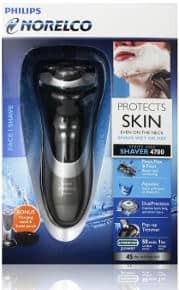 The Philips Norelco Shaver 4500 (Model AT830/46) is a mid price shaver which attracts fantastic reviews. I like the way it has been designed, it is easy to hold and gives maximum ease in shaving. 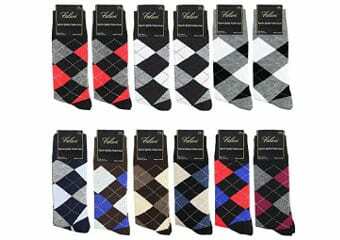 It can also make a great gift for men. The DualPrecision shaving heads go through the long and short hair extremely well leaving you with a clean shave. You can shave wet or dry with its AquaTec technology. It comes with an integrated pop-up trimmer which is perfect for your mustache and sideburns. 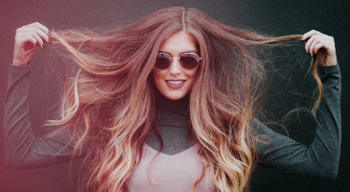 Pivot, Flex & Float System follows the many contours of your face to catch more hairs and neck. DualPrecision heads allow you to shave your legs as well as your head. Good Battery Power: Users love the extra power as this device has a Lithium-Ion battery. Giving 50 minutes of cordless shaving after a 1 hour charge and a 3 minute quick-charge provides enough power for one cordless shave. That´s a pretty useful feature if you are in a hurry in the morning..hah? Shave Under Shower: You can shave wet or dry which is very much appreciated by the people. I always recommend to use gel or foam if you are wet shaving since it will give your skin extra protection and you will get a closer shave. Dual Voltage: The charging plug automatically converts to work on 100V to 240V AC systems which makes it convenient if you are traveling, so there´s no need to buy an adapter. Well Priced: People like the fact that it comes at a good price. Some say that they got the same shaving experience with this shaver as they got from shavers which cost three to four times more. Cordless use: This is a cordless razor so you can freely move about while shaving. It comes with a cord to charge. However, you should keep in mind that it will not work while you are recharging. 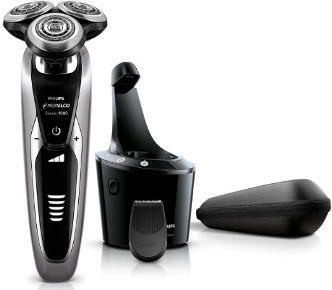 The Philips Norelco Electric Shaver 8900 has a futuristic design and is the same machine as reviewed above S8950. The difference is that this one comes without the extra heads for trimming. The company felt the need to give you a cheaper option in case you don´t require the extra attachments. It cuts a lot closer as the shaving head moves in 8 directions. You can shave wet or dry with its aquatic technology so you can shave dry or get a refreshing wet shave with gel or foam. It is designed to contour to the curves of your face. Shaves closer and more comfortably. Cleaning System: Users enjoy the fact that it has an integrated cleaning system saving you lots of time. Quick Charging: It charges fast, and I mean really fast, and one charge can last for weeks. Smooth Shave: Most people find that it gives a smooth shave without the nicks and ingrown hairs. Ergonomic Shape: They like its design and the ease of use since it grips well in your hand. Travel Case: A handy little travel case makes the packing easier. LED Display: The Led display keeps you informed about the battery status so you never run out of power in the middle of the shave. To conclude, if you are looking for a good rotary electric razor for men, then one of these shavers may be just what you are looking for. 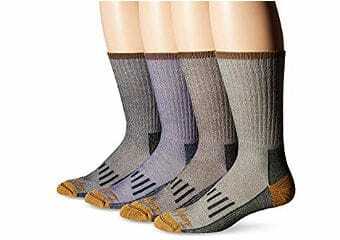 They come in a variety of prices making them perfect for almost every budget and need.